On the 23rd November 2017, I received my Globe Award certificate at the Austrian Embassy, London. 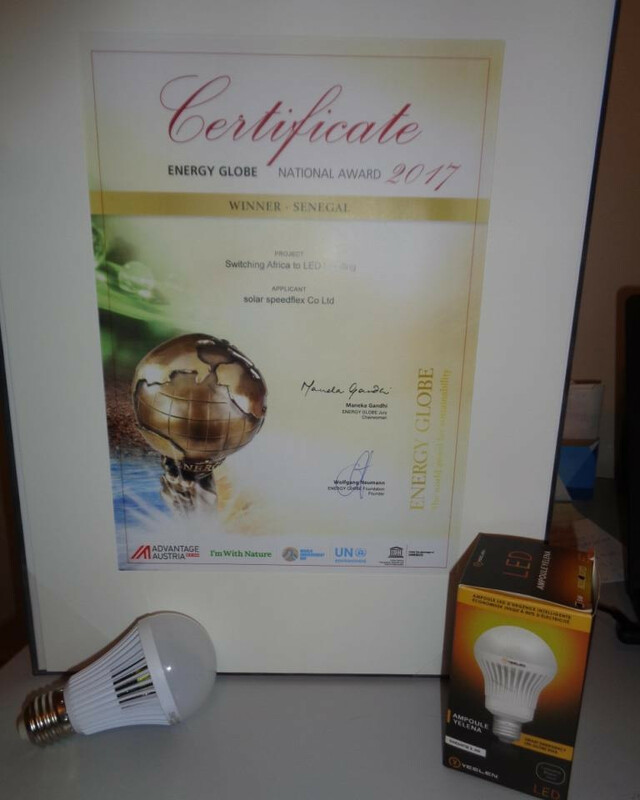 I was anounced the winner of the Senegal Energy Globe award in June, after establishing a LED assembly partnership with a Senegal business followed by the shipment of 3,500 Emergency LED bulbs, that allow families to have night time lighting during power outages. Now looking to establish the same business model in Kenya, in 2018 with Eenovators Ltd, my exclusive Kenya business partners.